Hidy Ochiai is a luminary and a pioneer in the martial arts. Born in Tokyo, Japan in 1939, Hidy Ochiai came to the United States in 1962. After receiving his B.A. from Albright College in 1966, Master Ochiai moved to Binghamton, New York where he established Wa-shin Ryu (wa-harmony, shin-truth) Karate-do and began teaching. 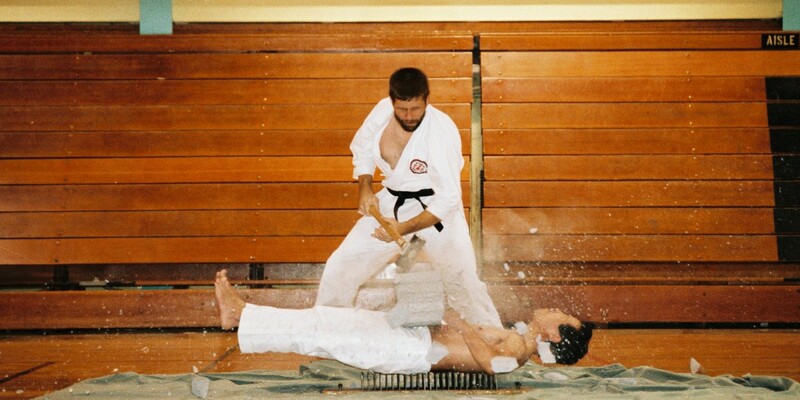 Since that time, Master Ochiai has solidified himself as one of the world’s premier martial arts competitors, demonstrators, and teachers, authoring six books, founding 2 non-profit organizations aimed at helping children and adults become constructive citizens living in harmony with others, serving as president and chairman of the board for Hokubei Karate-Do Shihankai, and instituting numerous Wa-shin Ryu branch schools across the United States. 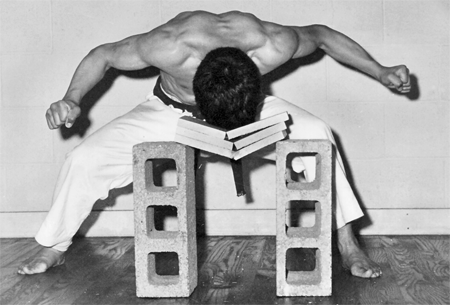 From 1967-1980, Master Ochiai was unstoppable in the competitive martial arts world. In fact, his accomplishments, which have been praised by Black Belt Magazine, ABC’s Wide World of Sports, You Asked For It, and ESPN, are so vast that they would be too long to list here. However, here are some of the highlights: He was rated the number one kata (form) competitor by the PKA (Professional Karate Association), having won the United States Grand National Karate Championship for five consecutive years, an unduplicated record to this day. He toured Europe as a member of the U.S. Professional All-Star Team with Joe Lewis, Bill Wallace, and Jeff Smith, performing for 7,500 spectators at the Deutchlandhalle in West Berlin, and in Paris he performed with Chuck Norris at the Pavillon de Paris. His spectacular demonstration at the World Professional Karate Championships in Los Angeles took place before more than 10,000 spectators and was later televised twice across the country. He has been inducted twice to the Black Belt Magazine’s Hall of Fame in 1979 as “Instructor of the Year” and in 1980 as “Man of the Year.” In addition, in 2004 Hidy Ochiai was inducted to the Martial Arts History Museum’s Hall of Fame in Los Angeles, having received a record number of votes. Outside of the competitive arena, Hidy Ochiai has made his martial arts knowledge and expertise available to the world through his books and college-course offerings. He has written four comprehensive texts on self-defense. In chronological order, they are “The Essence of Self-Defense,” “The Complete Book of Self-Defense,” “Hidy Ochiai’s Self-Defense for Kids: A Guide for Parents and Teachers,” and newly-released in 2018 “The Art and Theory of Self-Defense.” His book, “A Way to Victory: Miyamoto Musashi’s Book of Five Rings,” is an English translation and commentary of Musashi’s medieval text. It is the result of a seven-year effort to illuminate Musashi’s timeless teachings. 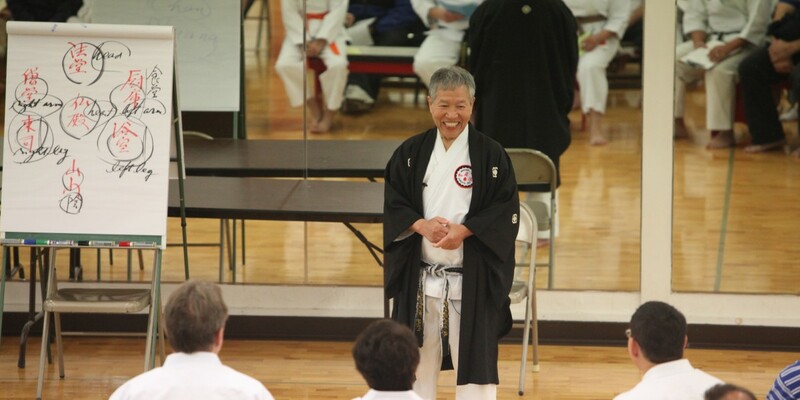 Also, Master Ochiai created two permanent college courses for the State University of New York: “Zen and the Martial Arts of Japan” in the Anthropology Department at Binghamton University and “Self-defense in the Martial Arts” for the School of Professional Studies at SUNY-Cortland. 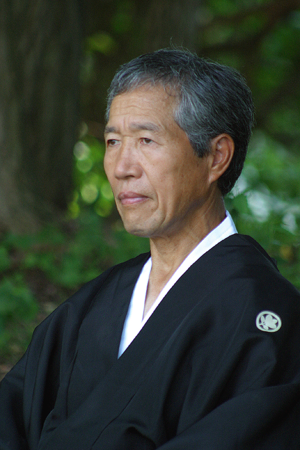 Since coming to the United States, Hidy Ochiai envisioned bringing the many benefits of traditional martial arts education to school-aged children in a format that would be widely accessible, yet equally effective at conveying the fundamental principles, techniques, and philosophy of the martial arts. In 1994, Hidy Ochiai achieved his goal. He founded the Educational Karate Program (EKP), a non-profit organization that the NYS Education Department validated in 1995 as a program fit for all New York State public schools. EKP is currently taught by over 1,500 certified teachers in several hundred schools. Furthermore, in his desire to extend the reach of his martial arts instruction so he could help as many people as possible, Master Ochiai established the Hidy Ochiai Foundation in 2001. The Foundation’s mission is to educate all people, but particularly children and young adults, how to lead peaceful and productive lives through the daily application of the principles of non-violence, respect, self-discipline, self-confidence, and mental and physical health. The Foundation has also been active in the local and global community. It holds an annual Holiday Food Drive for local charities, held a fundraiser for the 9/11 First Responders, and raised over $75,000 for the 2011 Japanese earthquake and tsunami survivors. 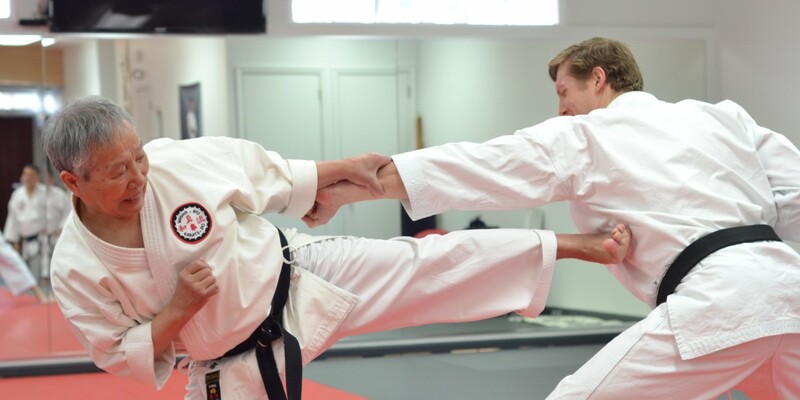 Besides running his national martial arts organization and two non-profits, Hidy Ochiai has been intricately involved with Hokubei Karate-Do Shihankai (Japanese Masters Association of North America). Hokubei Shihankai is comprised of some of the highest-ranking traditional Japanese karate masters in the world, whose objective is to preserve the art of traditional Japanese karate-do. From 2005 to 2007, Hidy Ochiai was chairman of the board, and he is one of only 36 founding members. In 2007, Hidy Ochiai orchestrated Shihankai’s first major fundraising and world-premier event, Masters of the Rising Sun – the Soul of Traditional Karate, on October 6, 2007. The event, held at the Performing Arts Center at Purchase College (State University of New York), brought together an unprecedented number of martial art masters from various styles to a single stage. Following the success of the event, Hidy Ochiai was elected president of Shihankai from 2008-2010. Currently, Master Ochiai serves as a consultant to the organization. 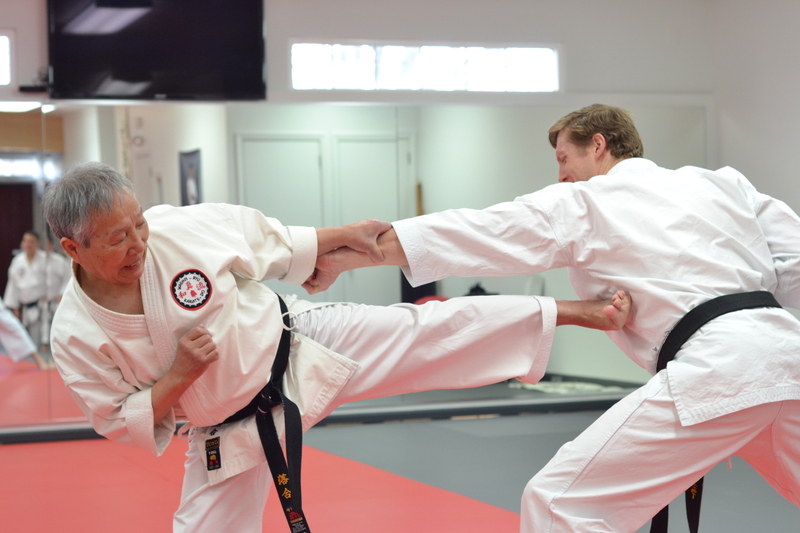 Throughout everything Hidy Ochiai has done in his martial arts career, his fundamental aim has been to help individuals improve themselves to reach their true potential. 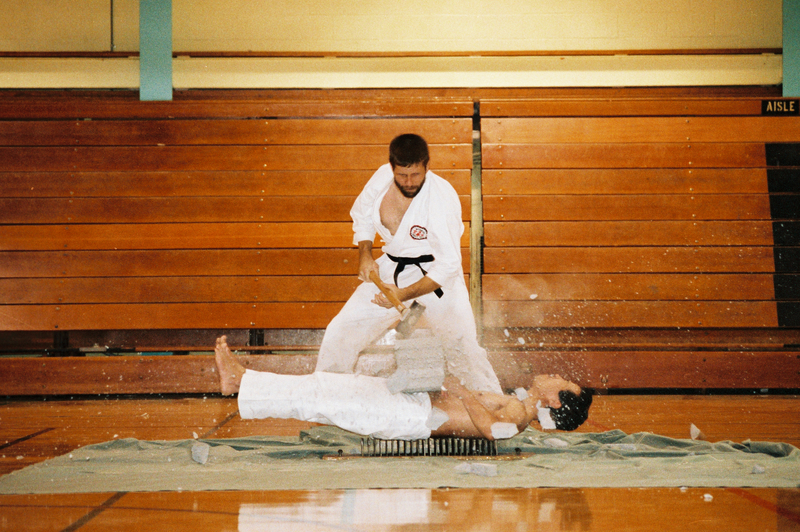 This singular mission may be no more evident than in Master Ochiai’s passionate cultivation of his many Wa-shin Ryu branch schools, which range from Massachusetts to Minnesota, and, most recently, to here in Virginia. To ensure that all Wa-shin Ryu students receive the best possible instruction, Master Ochiai not only sets very high standards for all of his instructors, as well as a yearly re-certification process, but he also, at 79 years old, continues to personally visit each of his branch schools at least once a year, often times seeing his branch students multiple times throughout the year. 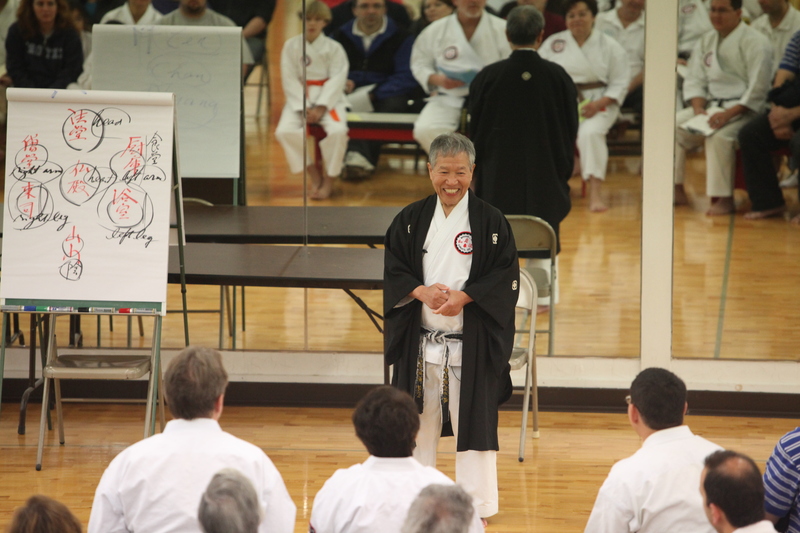 Here at Hidy Ochiai Karate – Northern Virginia, we are extremely pleased and fortunate to have Master Ochiai co-teaching the classes every month, directly helping each of us walk the path of self-development. If you would like to learn more about Master Ochiai, or his schools and organizations visit his website here.